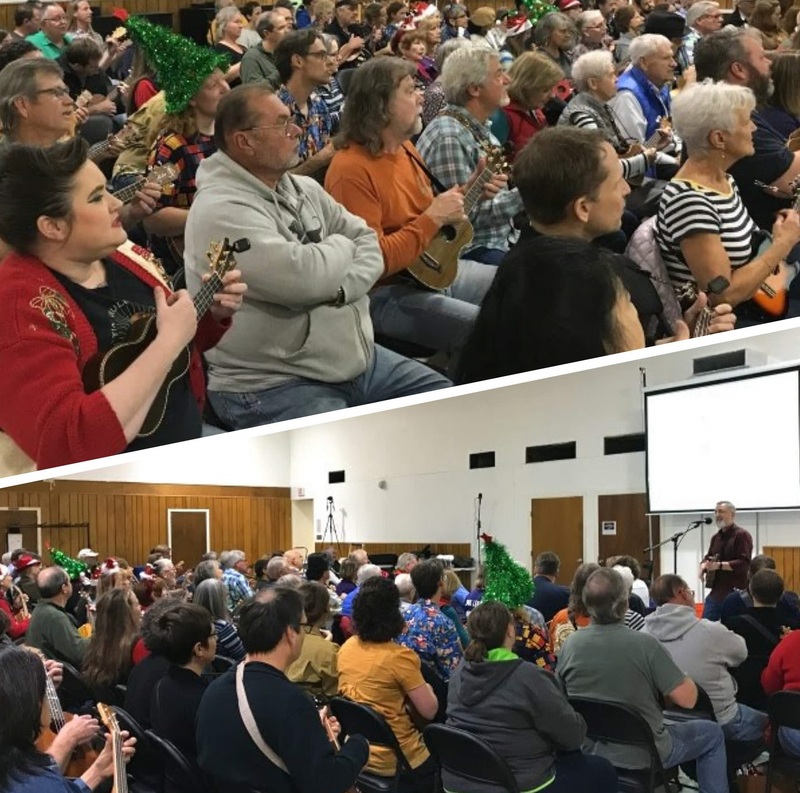 As the first chilly November evening descended on Austin, 125 or so ukulele enthusiasts from the Austin area and as far as England and Costa Rica gathered to play and sing together. We kicked off the meeting with introductions, local ukulele news and events, along with a reminder that our December 13th get-together will be our eight annual holiday potluck/strum-a-long at the High Road on Dawson instead of our regular Memorial United Methodist Church meet-up (more info on that in early December). After warming up with Bob Marley’s “Three Little Birds,” we kicked off the holiday season in style, both fashionably and musically, as we learned to play “Christmas (Baby Please Come Home),” made famous by Darlene Love on Phil Spector’s fantastic 1963 album “A Christmas Gift for You.” Bob explained and demonstrated his great arrangement and launched us into some helpful exercises. We enjoyed practicing the chord progressions, strums, finger snaps and vocal harmonies, and when we put it together to play the song through, we sounded great and recorded it for our global ukulele family. We hope it helps you get your own holiday spirit going this year! To play along with us, you can download the lyrics and chords for our arrangement of “Christmas (Baby Please Come Home)” or download a copy of the presentation and instruction guide (what we project on the screen for all to follow along, including exercises and drills). 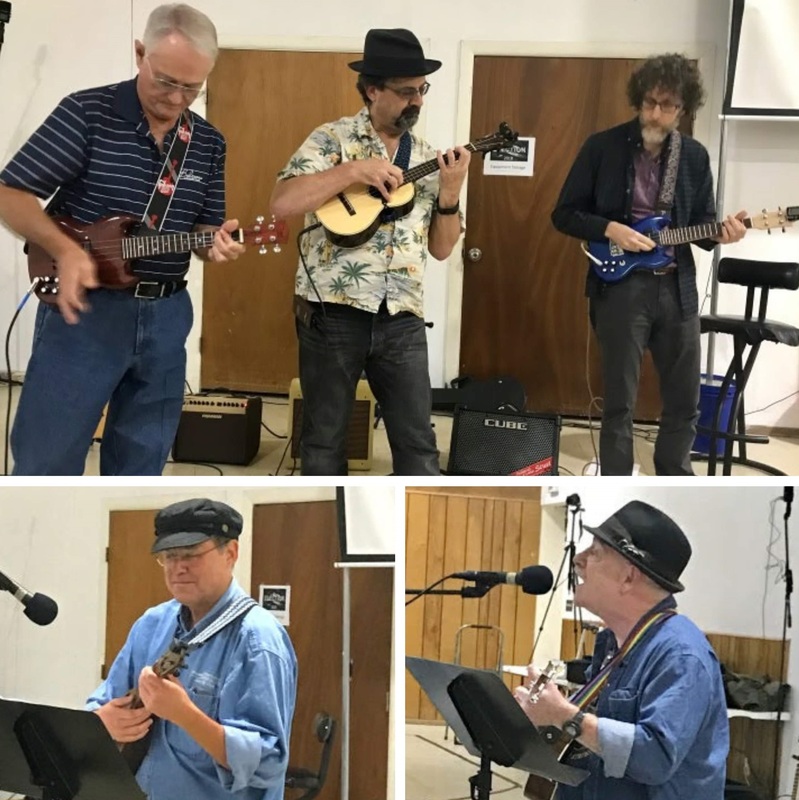 We took a break to enjoy our talented open mic participants, as Kevin Carroll’s Blues Band, Vincent and Richard presented us with excellent interpretations of great songs. 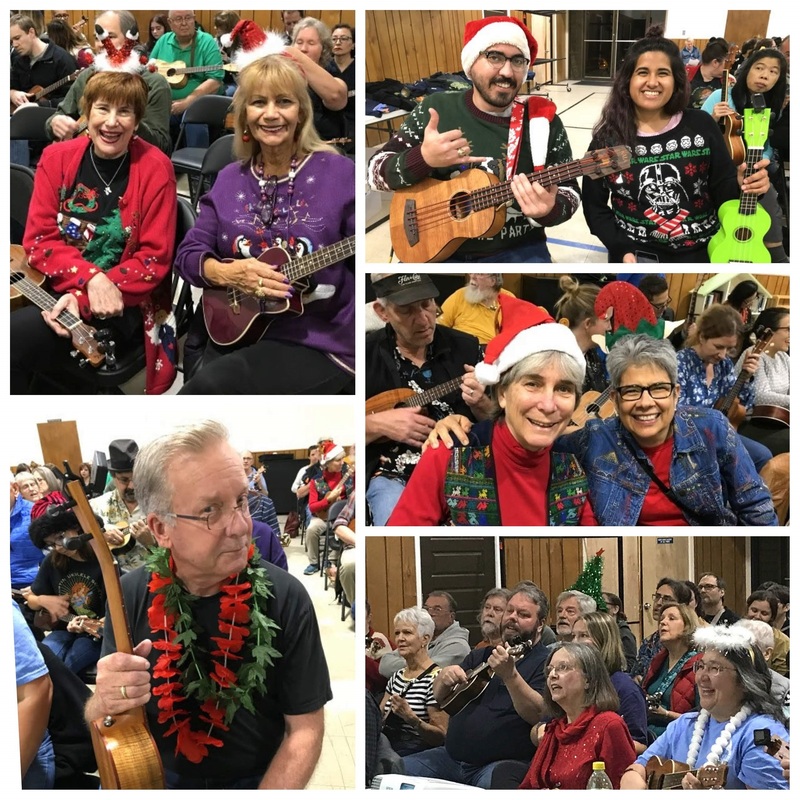 This entry was posted in AUS activities on November 12, 2018 by Austin Ukulele Society.